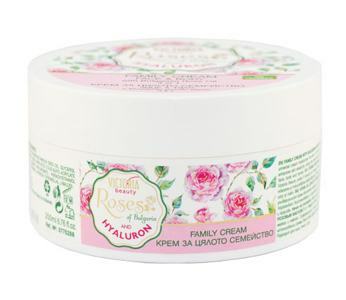 Victoria Beauty’s Family Cream with Bulgarian Rose oil can be used by the whole family. This universal cream moisturizes the skin of the face and body leaving it silky soft and smooth. The combination of rose oil and hyaluronic acid nurtures, restores and enhances skin elasticity. Using this cream daily will result in your skin looking rejuvenated, healthy and beautiful. Apply on well cleansed skin. Suitable for face, body and hands.